A link to "View your Comcast Business TV channel lineup" will be sent via email. Your link to 'View your Comcast Business TV channel lineup' has been sent! Discover the television choices available to your business. 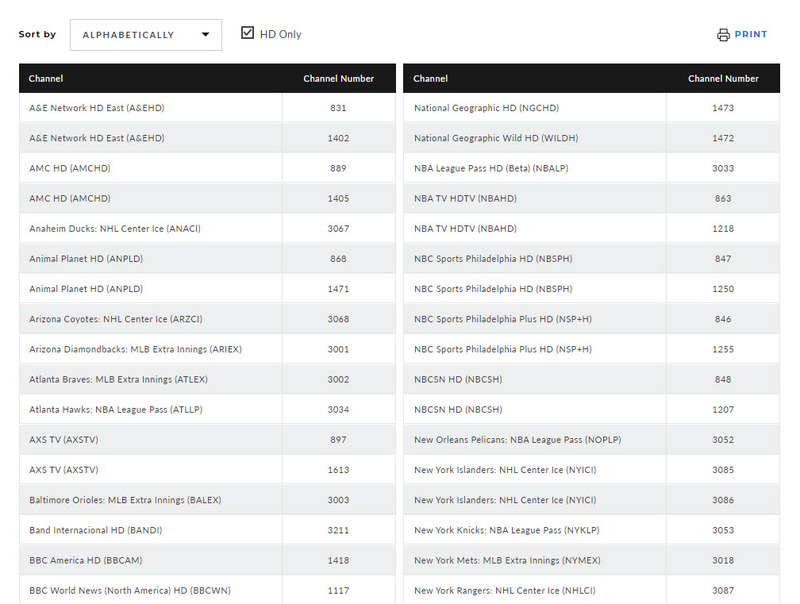 Comcast Business TV channel packages meet the core needs of businesses, while helping keep costs down by including popular cable networks and sought-after sport networks without tacking on less-wanted channels. Note: This feature may not be available for all users. Sign in to My Account and select TV from the Services menu. Sort the list numerically or alphabetically. Scroll left or right using the arrows at the bottom of the page to view more channels.